I put together an autumnal Shu Uemura palette. 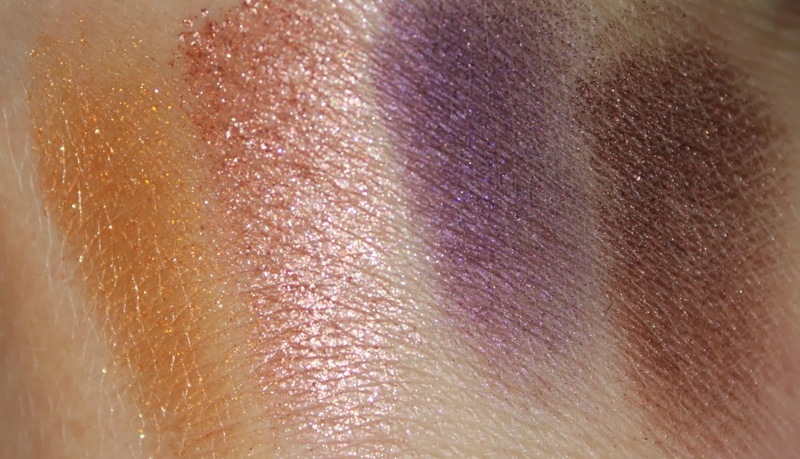 I chose four single eyeshadows and popped it into one of their custom palettes. It is one of the best custom systems I have come across. The custom palette is compact and easy to store. The shades I chose were G Copper, ME Soft Copper, IR Medium Purple and ME Medium Brown. G denotes a glitter, ME a metallic and. IR an iridescent. All go on smooth and blend well. G Copper is a bright pumpkin shade which is sparkly but no chunky glitter. Soft copper is a copper with tones of rose.- quite metallic. Medium purple is a satin red purple. Medium brown is a deep brown with slight golden undertones, slightly metallic finish. 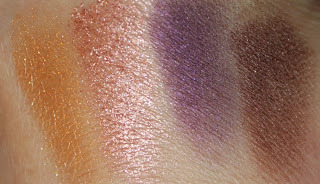 All four are soft to the touch and highly pigmented. The texture of this quad are silky and a dream to work with. Both G Copper and Soft Copper can be layered over the two deeper shades for a multi- dimensional effect. All tone into each other seamlessly. I think it is time to put together another custom palette. Do you have any suggestions?